Lil Wayne, real name Dwayne Michael Carter, Jr., made heads turn yesterday with three little words he wrote on his Twitter. Wayne wrote on his Twitter the simple phrase, “She said yes!” Being that it was Valentine’s Day, many began to assume that Weezy F Baby had proposed to his girlfriend of nearly one year, Dhea. Wayne, who does not Tweet as regularly as fans would like, must have been tipped off to the ongoing talk about him being engaged to Dhea because he quickly put up a follow up Tweet. 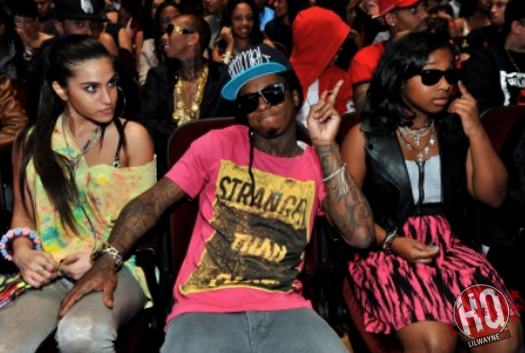 Dhea has been seen by Lil Tunechi’s side since last May. She has accompanied him on tour and for various appearances around the nation and the world. TMZ reports that Wayne did give Dhea a “massive” ring for the holiday. Whether Wayne has found the new Mrs. Carter is not something we can definitely say just yet. But by the looks of it, Weezy is very serious about his new romance and seems to be very devoted to Dhea.